Oborne, the Telegraph’s chief political commentator, believes one charity in particular, London-based Interpal, has bore the brunt of such mistreatment. Interpal, in Oborne’s eyes, is a scrupulous humanitarian charity that has been relentlessly and unfairly targeted by Western governments, media outlets and Jewish groups. Founded in 1994, Interpal claims to provide “relief and development aid to Palestinians in need.” While the charity may have survived in spite of Charity Commission inquiries and accusations of connections with terrorism, Interpal certainly has not been cleared of wrongdoing. As previously discussed by the Gatestone Institute, investigations by the UK Charity Commission have ignored vital evidence and issued illogical recommendations. In 2003, for instance, the Charity Commission exonerated Interpal but ignored evidence that Interpal received funds from the Netherlands’ Al-Aqsa Foundation, already banned in the UK as a Hamas terror front. In 2009, the Charity Commission did demand that Interpal separate itself from a group of charities named the Union of Good, a Hamas-financing coalition of which Interpal trustee Essam Yusuf was in charge; but, perversely, the Charity Commission did not demand that Interpal also sever its links with senior leaders of Hamas, a banned terrorist organization under British law. Notwithstanding, the Charity Commission’s 2009 inquiry did not actually vindicate Interpal, but expressed concern with the charity’s actions. Oborne blames the succession of British inquiries on the attitude displayed by the United States government. In 2003, the United States government classified Interpal as a “Specially Designated Global Terrorist.” This designation was not unexpected: in 2001, documents seized in Ramallah revealed that Interpal had transferred $33,800 to a Palestinian charity called the Al-Islah Charitable Society, founded by Jamal Mohammad Tawil, a senior Hamas operative responsible for several suicide bomb attacks. Further, in 2003, Interpal operatives were also listed in documents presented during the US government’s terror financing trial of the Holy Land Foundation. Later, in July 2006, an investigation by a BBC documentary team discovered that Interpal was providing funds to a number of charities in the Palestinian territories run by senior Hamas members. 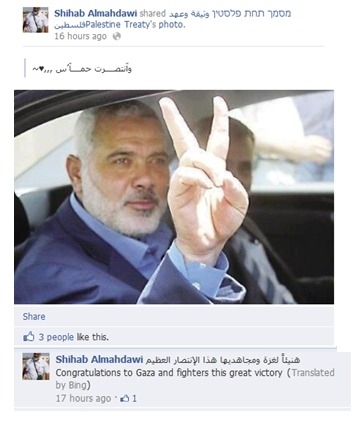 Ibrahim Hewitt, one of Interpal’s trustees, advocates the killing of apostates and adulterers, and demands that homosexuals suffer “severe punishments” for their “great sin.” Members of Interpal’s staff refer to Hamas terrorists as “martyrs” and publish notes on social media in support of Hamas’ leaders. This claim, however, is demonstrably untrue. First, scores of British charities operate in the Gaza strip, but very few of their trustees find themselves starring in Hamas photo-shoots. Second, does having to “deal with Hamas” really include visits to the family homes and shrines of Hamas terrorist leaders? 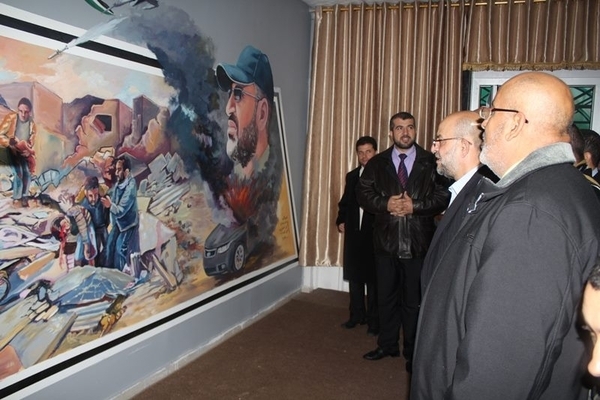 In 2012, for instance, Essam Yusuf visited the homes of Abdel Aziz al-Rantissi, a senior Hamas leader who once promised he would “kill Jews everywhere;” and Sheikh Said Seyam, who commanded Hamas’s Executive Force, a militia that tortured and murdered Palestinian supporters of Fatah during Hamas’s violent takeover of the Gaza Strip in 2006. 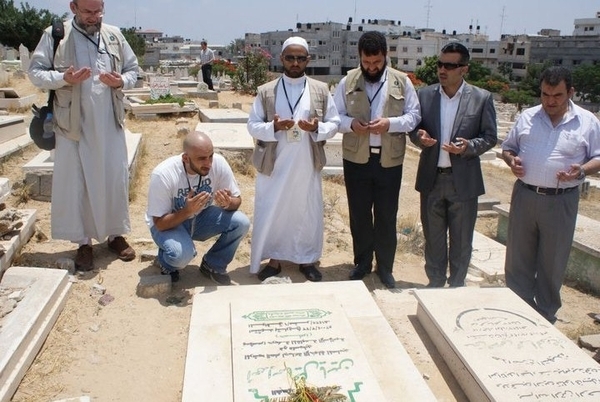 Interpal trustee Ibrahim Hewitt (far-left), praying at the grave of Hamas’s founder. So what makes Oborne write a column for Britain’s top-selling broadsheet in support of Interpal? Among these speakers, there seems to have been a bit of mutual back-scratching. 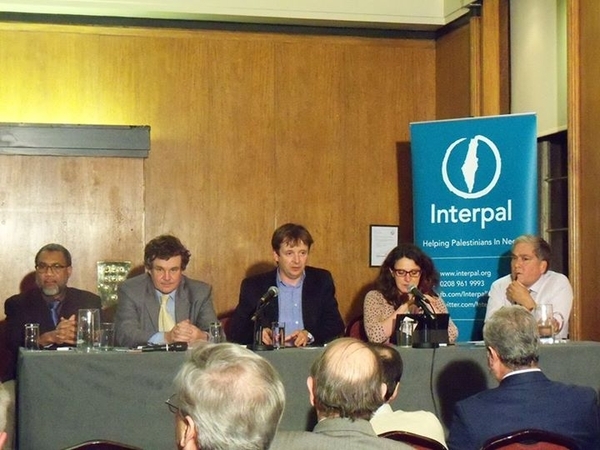 Interpal has pledged $500,000 for UNRWA, and Oliver McTernan and UNRWA were both quoted in defense of Interpal as part of Peter Oborne’s Telegraph article. Jeremy Corbyn MP has sponsored and signed a number of Early Day Motions in parliament that praise Interpal for its “humanitarian work” and condemn the “damaging designation of Interpal” as a terror-support organization. Oborne, in fact, appears to have a long history of supporting extremist causes. He has previously written in support of the pro-jihadist organization CagePrisoners, and signed a number of letters and petitions campaigning against the government inquiry into the Muslim Brotherhood. In a recent interview with an Egyptian journalist, Oborne described the Muslim Brotherhood as a “great movement” and refused to condemn Hamas. In 2009, Oborne presented a documentary on the influence of Britain’s pro-Israel lobby, which, according to Community Security Trust, painted a picture of sinister conspiracy and anti-Semitic stereotypes. Some might be tempted to dismiss Peter Oborne’s views as eccentric. But as a prominent British journalist, his columns exert influence. Interpal is clearly not worried about its own future. In 2012, Interpal received £536,000 of taxpayers’ money from the British government through a tax relief scheme named Gift Aid. The truth is that Interpal has never been singled out for criticism by dogmatic opponents or Islamophobic governments. Interpal, despite the charity’s manifold connections with extremists in Britain and terrorists in Gaza, has enjoyed the support of journalists, politicians and other charities for years. The odd media accusation or government enquiry does the charity no harm, because Interpal knows it can rely on the outrage of its prominently-placed apologists. Oborne claims Interpal survives in spite of charity inquiries and media comment. In fact, Interpal thrives because of them. Each bungled charity investigation and each newspaper puff-piece helps to strengthen the case for Interpal — and correspondingly for Hamas.